Sagar Deluxe is a simple property located at Arakashan Road in Paharganj. 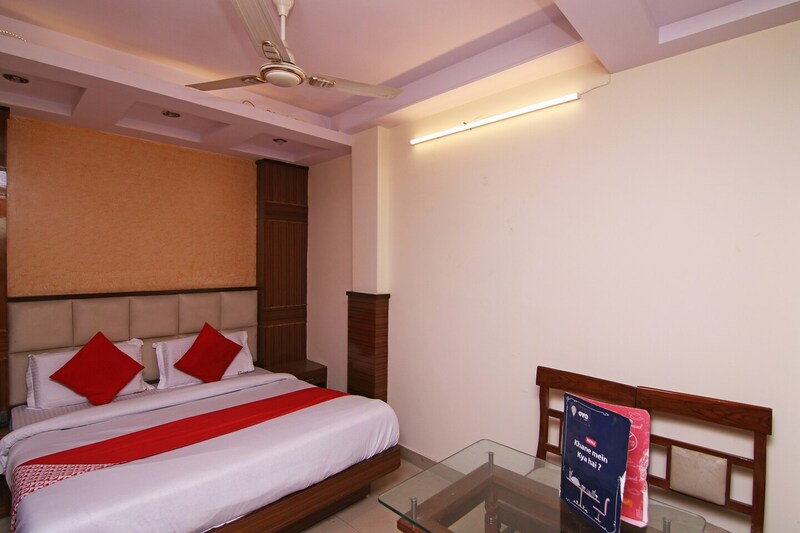 Popular landmarks near the hotel include Chawri Bazaar, Chandni Chowk, Connaught Place, New Delhi Metro Station. The interiors of this hotel are done up using wood, granite, and marble. The rooms are painted with bright textured wall paper and modern furnishings. The rooms have a queen sized bed and come equipped with AC, TV and free Wi-Fi. The Kathmandu Cafe, Nand Di Hatti, Spooky Sky, McDonald's, and Haldiram Bhujiawala are popular eateries in the vicinity of the hotel. Paharganj Market, Janpath, and Sadar Bazar are the best places to shop nearby.